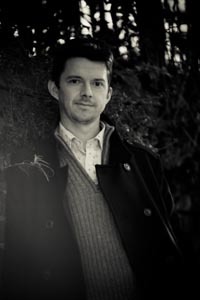 Bass player Dave Manington is one of the founders of the Loop Collective, the e17 Jazz Collective and is currently writing new music for several new projects. He has composed for and led his own septet, trios, and quartet, whilst also contributing music to many other people’s albums. His acclaimed debut quartet album Headrush was released on Loop Records in 2008. His band Riff Raff is a dynamic ensemble of young musicians featuring vocalist Brigitte Beraha (Bablefish, Kenny Wheeler. ), pianist Ivo Neame (Phronesis) who also contributes occasional accordion, saxophonist Tomas Challenger (Brass Mask, Outhouse, Red Snapper), guitarist Rob Updegraff (Ronnie Scott’s All Stars, Zigaboo Modeliste) and drummer Tim Giles (Iain Ballamy, Kenny Wheeler, Art Farmer). The starting point for the music is often collective improvisation but compositionally it draws on as wide a range of styles as possible. 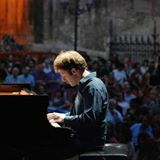 Folk, electronic music and contemporary classical influences are added to the mix with complex jazz harmonies and rhythms. 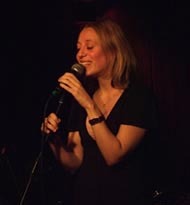 Several compositions feature lyrics written by Brigitte Beraha and on other tracks she sings wordless vocals, often harmonizing with the sax line to great effect. The writing process for me can follow many different paths; the elements of a composition can be put together in any order, taken to pieces again, and recombined. If I get stuck writing a melody, I’ll try changing the feel, key or tempo. If I’m still stuck, I’ll reharmonise it, or write a bassline, or a countermelody. Something will sound good and get me going again. The tricky bit is being good at editing. Sometimes the scrap of melody I started with ends up being the weakest part of the composition. I have to be quite self-critical and ruthlessly cut out the bits that don’t work. I have to be willing to pretty much start again from a new angle, basing the piece instead around a nice chord sequence I happened upon, or a groove that happened in the 15th bar perhaps. Once I am happy with the basis of a composition, I like to live with it for a while, play it on a few different instruments, loop sections of it, and bring it to rehearsals to get people to play it and see what their playing suggests to me about the directions the piece could develop. I record rehearsals and listen back to us playing. Then I rewrite the tune. I like to imagine it’s just another “jazz standard” or a tune by someone else and then I’ll arrange it. I’ll try and write an intro, maybe try some chord reharmonisations, perhaps write a different section to solo on, maybe a specific ending or coda. Eventually I’ll settle on a version I like. This recorded version of Agile is probably at least the 10th incarnation of a tune. The computer programme “Sibelius” is a fantastic tool which enables musicians like me to spend hours tweaking and editing a composition without having to write out 6 new parts by hand every time I want to change something (or getting through another bottle of tippex – remember that?). For me, you can hear the influence of Claudia Quintet, Mingus, Polar Bear, Pierre de Bethmann, other Loop collective members and many contemporary jazz composers who I feel close to in this tune. I like the energy of it and the way Tim phrases the groove on the drums. I hope that it makes sense when you listen to it and doesn’t sound clever for the sake of it because the grooves were worked out as organically as possible and not by mathematics. In the end, you don’t want to be counting when you’re listening to music, just enjoying the overall effect, the melodies, the groove, the textures, whatever attracts you. It’s a subjective thing after all. Agile began life with the main groove/rhythmic figure. I made a drum loop to play along to, and then I would improvise with it and record myself playing variations, taking the idea through several different keys and time signatures to see what would work best. I recorded the bassline above and then played guitar along to it until I came up with a part that worked. Once I’d got a few ideas I used the best versions as the basis for the different sections of the music. I then subsequently composed the melodies and countermelodies over the top which make up the main ensemble section. This next main variation was originally the backing for the saxophone solo, but after playing the tune a few times we settled on it as the climax for the solo instead. We play “free” at first and follow Tom's sax. It's collective improvisation with a lot of input from the rest of the band but he leads the way and it's more his solo than anyone else's. We try and follow his suggestions and sudden changes of pace and together we gradually start to hint at his bassline, which is eventually cued in by Tom at the end of his solo and forms the cue to go on into the next section. After a reprise of the opening section the piece hits a sudden change and goes into a metric modulation. This was my third variation on the original bassline and the music changes to a 9/8 triplet feel. Ivo plays a fantastic solo over this section. In the arranging stage I added a backing line for vocals/sax and a coda where the riff changes key for the final 2 times. It’s nice to write a bit of an unexpected twist at the end of a piece sometimes! I always put thought into the start and end of each tune, it’s easy to think “it’s fine, we can come up with an ending as we’re playing” but really if you want it to work well, confidently and cleanly each time you need to write a proper intro/outro. I also felt the bare vocal/sax line launching into groove at the very start was a strong beginning and good way to start the album. Click here to sample the album Hullabaloo by Dave Manington’s Riff Raff.